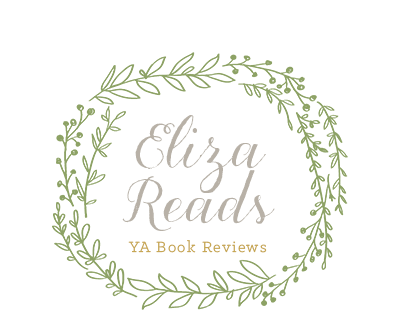 Eliza Reads: Review: City of Fallen Angels by Cassandra Clare!! 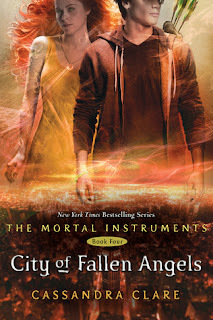 Review: City of Fallen Angels by Cassandra Clare!! Do not read if you have not and plan to read the Mortal Instruments series! I have literally just finished City of Fallen Angels...and I'm not quite sure what to say about it. Maybe the ending hasn't fully sunken in yet, but my mind feels like it's in a haze. During the first quarter of the book, I was just excited to have Jace back. It takes place two months after City of Glass, and the characters have pulled their lives back together after the life changing events in Idris. It seems they just had time to get back on the horse before their wounds were ripped open again. During the first half, the excitement faded into contentment, but it was during the third quarter that I realized something was wrong: I was disappointed. I think it's because I spent about eight months building the book up in my head, so excited that Cassandra Clare was creating a new story, that when I finally read it, it wasn't up to par with my high expectations. Even when I came to realize that I was slightly upset and disappointed by it, I still could not figure out why. Maybe it was because it was like a completely new series, rebuilding the problems. Maybe it was the speed at which I was reading, feeling the rush and the need to finish so I knew what happened in the end. Maybe it was the fact that the thing I had been dreading, the one thing I had not wanted to happen, which was inevitable...These all contributed to the feeling of dread that was sitting, cold in my stomach, but the most apparent reason was that I was simply bored. There wasn't enough demon-slashing and action for me. I'm not usually the type of person who likes blood and guts, but I think a book about Shadowhunters requires the action-packed sequences. When I read on after the frustrating part, however, I could not put the book down. The book had so many twists and turns that weaved in and out of each other, eventually ending together, but then burst open against at the very end. The ending was absolutely outrageous. I almost fell off my chair, I was so shocked...which has actually happened to a friend of mine while reading this series...and I sat staring at the page for a few minutes afterwards. The characters seemed to become more alive for me in this book. I was able to relate to them more and I began to like some of them more than I had in previous books. The amount of times the point of view switched from character to character had me on my toes. One thing I didn't enjoy in the beginning was the amount of the book that was taken up by Simon's point of view. He had never been my favourite, especially after being turned into a vampire, and the new spotlight on Simon bothered me. It seemed as though he was the main event in the series, even though it was supposed to be the story of Clary finding out her real life in the Shadowhunter world, etc. And yet, I came to appreciate seeing his side of the story, and by the end of it, I was quite glad he had a say. Jace, on the other hand, did not seem to have a huge say, and that also helped to play a huge role in the plot. Speaking of the plot. Oh my. It was crazy dealing with all the new drama in the lives of the Shadowhunters, Downworlders, and demons. The new villains were...interesting. At first I was sure Sebastian would come back now that Valentine was dead and no one could find his body, but then my confidence began to fade as the book went on and new characters were introduced. I will not say anything about the ending, just in case a reader has not read the series, but I will say that I was caught off guard! All I will say is I am stunned and I can not wait for the next two books in the series, City of Lost Souls and City of Heavenly Fire. Now that I have finished the book, I feel like re-reading it now that I have read the ending and loved it. Although it is not my favourite in the series, it was amazing. The perfect balance between lyrical, poetic words and lines that will have you laughing on the floor is genius, and has been in all of The Mortal Instrument installments so far. I am giving City of Fallen Angels a rating of 4.5 masks.